We at 2AM illustrate the charm of hand made products exclusively designed through the inspiration that we come across daily. Our tailor made products are made of hand picked fabrics, prints, designs and colors. As we believe in exclusivity, our products are made in small quantities, we also personally look into each product to make sure they are beautiful, trendy and most importantly the quality is perfect. So come enter our world and bag some absolutely urban designs! 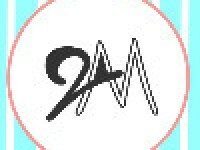 2AM by Anjali and Meha is a brand that manufactures all types of bags , be it simple slings , totes , bag pack or Travel bags. 2amstore is committed to deliver your order with good quality packaging within given time frame. We ship throughout the week, except Sunday & Public holidays. To ensure that your order reaches you in good condition, in the shortest span of time, we ship through reputed courier agencies only. If there is no courier service available in your area, we will ship your items via Government Registered Bookpost or Speedpost.